When General Ziaul Haq dissolved assemblies and sacked the government of Prime Minister Mohammed Khan Junejo in May 1988, he intended a party-less election to take place at the end of the year. The election did take place but without Zia being the president of Pakistan: he died in a plane crash in August that year. Political parties were also allowed to take part in the polls after an intervention by the Supreme Court. All this culminated in the very woman, Benazir Bhutto, becoming prime minister whom Zia had wanted to keep out of the electoral arena. The rapid thrust of change that took place at the time was not just domestic; it was regional — even international. The first real signs of a dissolution of the Union of Soviet Socialist Republics, or Soviet Union – such as Perestroika (or reformation) and military withdrawal from Afghanistan – all suddenly started taking shape. The fear of change within Pakistan led remnants of the previous regime to foist a stage-managed opposition to Benazir Bhutto with the dirty tricks brigade drudging up her photos and those of her mother to show them in a negative light. This was to abet a question already being raised about whether an Islamic state could even allow a woman, let alone a westernised female politician, to head the executive. The yoke of state control was liberalised during her term in most parts of the economy and society, resulting in the removal of many curbs on cultural expression. It seems only natural that Vital Signs, Pakistan’s first nationally renowned band, would release its path-breaking debut album in 1989. The glasnost (or openness) that emerged with the return of democracy allowed the Pakistani state and society to embrace ideas and cultures from outside. Contemporary pop music was consequently supported officially (even though people had already embraced it through piracy). This linear story is very tempting. It offers a neat narrative with the cause and effect clearly laid out. And for the most part, it is true — except for the inconvenient fact that Dil Dil Pakistan, probably the most treasured song by Vital Signs, was released in 1987, a full year before Zia’s C-130 crashed in Bahawalpur. How was it that a song like Dil Dil Pakistan and its accompanying video made it to the state-owned Pakistan Television (PTV)? What allowed its westernised singers – carrying guitars, riding dirt bikes, roaming around in an open-top jeep and eventually strutting their stuff in a concert like setting – to get airtime on a channel that (in one extreme example) showed a drama serial featuring a young husband and wife living in separate bedrooms? How did puritanism suspend its obscurantism in this instance? In the telling of Nadeem F Paracha, Pakistan’s eminent cultural historian, it was part deliberate, part serendipity. In a number of articles on Dil Dil Pakistan, Paracha has described how, during a back and forth with censors, the song’s producer, Shoaib Mansoor, pushed the argument that it was about time to foster nationalism in a youth that was seeking cultural products and expressions not endorsed by PTV. The incredible clout that Mansoor had at the time in PTV, thanks to his creative successes, enabled him to get the go-ahead. Paracha also points out that this was not the sole instance of exceptionalism in the Zia era. The dictator’s regime, in fact, made several other exceptions to its cultural stranglehold. In the case of the sister-brother duo of Nazia Hassan and Zoheb Hassan, for instance, it was Zia’s personal approval of them that led him to commit perfidy with his own cultural politics. Nationalism’s role in the arts in general, and popular culture in particular, is a heady mix — as is exemplified by Dil Dil Pakistan. It reaffirms state-sanctioned values to establish its bona fides with conservative gatekeepers and older audiences, while at the same time allowing space for embracing artistic influences that are contemporary, and sometimes, explicitly western. 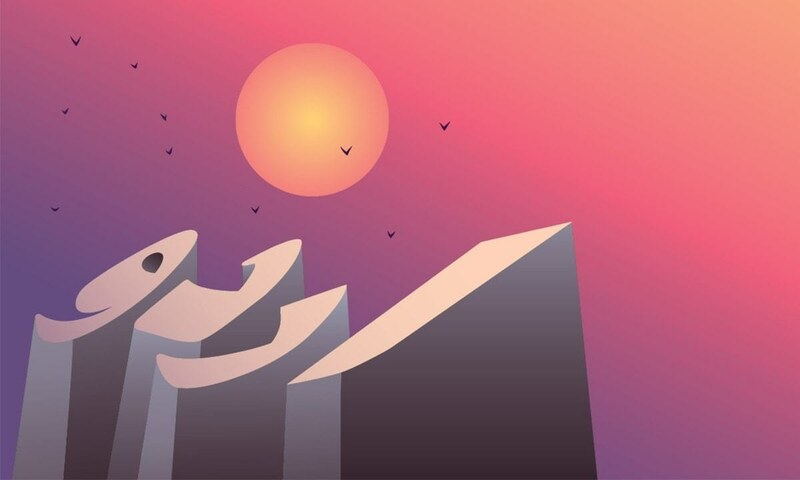 “It is remarkable just how simultaneously status quo friendly and subversive the song was for its time,” says Ahmer Naqvi, a cultural commentator and a pioneer in Pakistan’s digital music business, about Dil Dil Pakistan. This paradox underscores how nationalism has been used in Pakistan in film, television and music: nationalism has been both the carrier of regressive, constrictive ideas and a tool to embrace new and inclusive expressions. 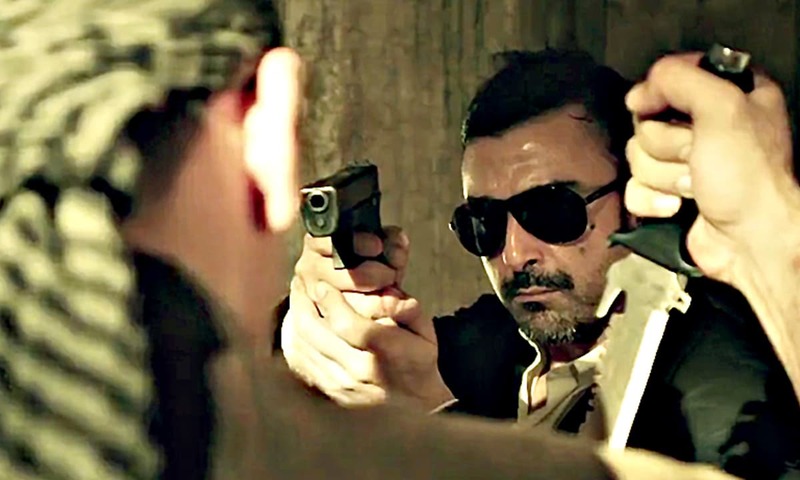 While several notable films have preceded it, Waar, released in 2013, is recognised as a film that created a renewed interest in cinema — an industry that had dramatically contracted after decades of poor-quality films, lack of investment, shutting down of cinema houses to turn them into real estate, and due to the extraordinary security situation between 2008 and 2013 that had resulted in the shrinking of space for any public activity. Just as Dil Dil Pakistan opened one door, Waar opened another. The movie’s characters represented a new generation of soldiers: they did not look anything like the rather homely representations of men in uniform shown in PTV dramas of the past, such as Sunehray Din. They were, after all, responding to a terrorist insurgency. Waar’s cinematography was also more in tune with contemporary action films than with anything that characterised the Gandasa-era films. The film even used the F word in the culmination of a tense scene — its space to do so massaged in by the shroud of nationalism. If you can establish that you have the right intent, you can forge ahead with any content. Why this is so, has significant historical roots. The urgent want to forge a new national character was felt as early as 1947. The need for a nation-building narrative was understandable given how weak the fledgling country was at its inception. The large-scale violence and mass migration that accompanied the partition of the subcontinent and the incipient, almost non-existing, state structures put Pakistan at a massive disadvantage relative to India. Materialising a national character, however, was a complex undertaking given the strength of five major subnational identities that existed in the Pakistan of that time. Religion was used almost immediately – despite an early opposition from the minorities during the passage of the Objectives Resolution by the constituent assembly – to glue the cracks. Between 1956 and 1958, Pakistan saw severe political instability, with four prime ministers coming and going in quick succession, followed by a coup d’état by Ayub Khan. The twinned effect of a ruling party, Muslim League, rendered ineffectual after Jinnah’s demise, and the imposition of the first martial law set a pattern for the nationalistic project in the decades to come. This period laid down three parametres for formulating Pakistan’s internally-directed nationalism: a suspicion of the provinces other than Punjab; the demonisation of their struggles for identity and autonomy as treason; and the need for militarisation due to an inherent weakness of politicians and political institutions. An evolving and deepening rivalry with India and the complex regional security situation also meant that a sense of perpetual insecurity became the raison d’être of a militaristic Pakistani nationalism. All this has not been peculiar to Pakistan though. Nationalism greatly advanced during the last century in countries that faced either the threat of a war or a war itself. Since the relationship between Pakistan and India has been characterised by either a war or the threat of a war – except during brief interludes of a peaceable thaw – Pakistani nationalism for a certain section of the urban middle class has come to mean an apolitical commitment to the permanent institutions of the state. The tensions within a nationalistic enterprise, however, heighten when it has to contend with multiple pre-existing identities — as is the case in Pakistan. Incomplete industrialisation and urbanisation have both contributed to those tensions. Nationalism based on a singular identity benefits from central control that a modern economy and the concentration of a large population in a single space facilitate. An integrated market, thorough industrialisation and a unified nationalism often go hand in hand. Lopsided economic development in Pakistan, however, allowed large swathes of the society to exist outside the reach of the state and find security and identity in kinship-based networks. Waar offered a fascinating microcosm of many of these tensions within Pakistan. Waar also served as a vehicle to energise a despondent population, one that was horrified by the unceasing trajectory of terrorist violence and the deep insecurity it had engendered. The film reaffirmed nationalism by rooting it in a muscular military response to terrorism, one that people increasingly wanted and one that proved prescient given how the war against terrorism intensified after the attack on Peshawar’s Army Public School (APS) in December 2014. In doing so, Waar leveraged many plot points to make sure that it did not just address the contemporary security challenge posed by the Tehreek-e-Taliban Pakistan (TTP) but also highlighted the establishment’s traditional measures of who is, and who is not, a true Pakistani nationalist. The film’s ‘good’ politician is the one who lays his life to build a dam — presumably the Kalabagh Dam; one of its main female characters is ostensibly empowering people through her non-governmental organisation but is actually an Indian agent; the enemies of Pakistan are morally bankrupt and willing to plumb any depths to achieve their ends; these enemies are also indistinguishable from those living in Khyber Pakhtunkhwa and the former Federally Administered Tribal Areas. Omair Alavi, a film journalist, lauds the technical finesse of a recent spate of nationalistic movies, including Waar, but he questions their contents which, to him, are not well-formulated. He deems many of these films as forgettable for being disjointed, failing to bring together their various plot points and stories. He, for instance, finds it ironic that an Indian villain or a TTP commander shown in these films speaks in chaste Urdu but the hero’s dialogues are often in English. This, perhaps, is not an oversight. It could be symptomatic of a jingoistic nationalism married to a quaint notion of modernity: the hero is an uber patriot like any young Pakistani professional but he is also westernised in the same way the old elites are. In this, he is very much an urban Pakistani entity — a nationalist ideologically but a globalist stylistically. He does not have any trace of provincialism in his outlook and is also a completely contemporary figure in the way he speaks and dresses. A number of nationalistic films made along the same formulaic lines have hit the market recently. The latest of them are Yalghaar that came out in 2017 and Parwaaz Hai Junoon that was released in 2018. Alavi explains that this advent of nationalistic films is not just due to technical support being offered generally by the Inter-Services Public Relations (ISPR) — that essentially works as the military’s media wing. Actors who want to play hard men also gravitate to nationalistic films because these can provide a natural setting for a story of personal valour and sacrifice. Rafay Mahmood, a culture writer and an ethnomusicologist, argues that the structure of cinema in Pakistan and the audiences it attracts is also a reason why films have a nationalistic focus these days. Older single-screen cinema houses have given way to modern multiplexes with high-end amenities and expensive ticket prices that mostly attract an urban middle-class audience. While nationalistic action films address the existential anxieties of contemporary non-state actors, they do so within the ambit of existing prejudices of this very audience, he says. Given their nascent stage of redevelopment, Pakistani cinemas, however, cannot afford to shun Indian films entirely if they want to keep drawing audiences. Western films do not have the same cache with local audiences as Indian ones have. The reaction of Pakistan’s security establishment to these challenges has been to develop its own cultural products with a counter narrative, though both their scope and scale remain limited. India’s sheer diversity and scale of its cultural products, however, allow it to promote a nationalism that is at home with the country’s internal diversities. 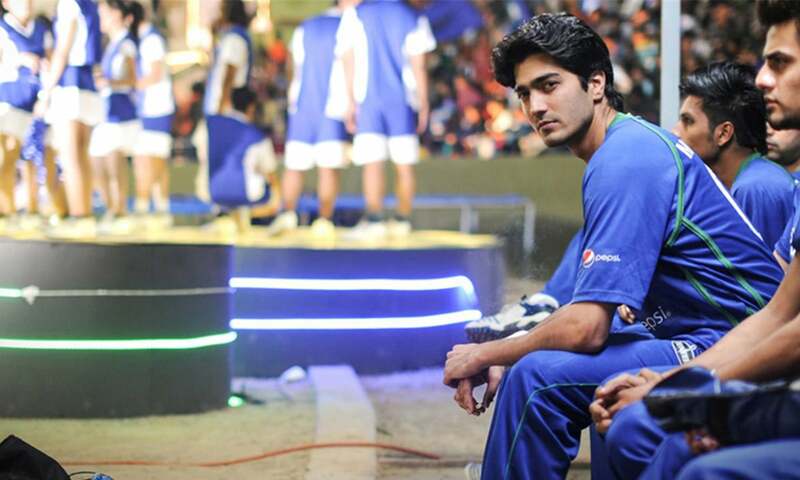 Its emphasis on sports biopics has helped it to showcase a diverse set of people in the service of the nation. These include people from down the totem pole of caste, or even religious, and other minorities — as is the case with a Muslim protagonist in Chak De! India, a Sikh athlete in Bhaag Milka Bhaag and a woman in Mary Kom. Mahwash Ajaz, a journalist and Youtuber, does feel that some Pakistani films, too, offer diverse and inclusive representation of Pakistanis without necessarily being preachy, but this happens in films that are not explicitly patriotic. She cites such films as Actor In Law, Load Wedding and Main Hoon Shahid Afridi to make her point. The film that did this perhaps most effectively is Main Hoon Shahid Afridi though, unfortunately, it is not given the credit it deserves. Released in 2013, it has a unique story revolving around cricket, with a wealthy team attempting to forcibly bring back ‘class’ to a sport now dominated by working-class stars. The film’s upstart team offers a stand-in for Pakistan’s diversity — all with its tensions, its prejudices as well as its potential and promise. The fact that almost every Indian television channel – as well as many international television channels – often show hagiographic presentations of the Indian army poses a massive problem to Pakistani authorities who treat this as a front in a ‘hybrid war’. While the establishment’s influence over news media helps it fight on this front, Pakistan’s entertainment television, unlike Pakistani films, does not really use nationalism thematically. The mini-screen’s embodiment of nationalism, or even a conception of it, has been fleeting and without focus in recent years. This, explains Mahwash, is because the television’s entertainment formula for attracting audiences is well established: focus on family drama, psychosocial issues and romance. The gendered split in viewing habits between men (who mostly watch news) and women (who mostly watch soaps) has largely eliminated the need for television to work on elaborate conceptions of nationalism or create a focused drama around it. While the representations of what is a ‘stock’ Pakistani family remain narrow (located within an urban ethnocentrism and still subject to patriarchy) and dominant on entertainment television, drama has only expanded in marginal ways to create stronger representations of the provinces with a nuanced take. Music also no longer has a natural home on television. It has been squeezed out by the twin juggernauts of dramas and news. It enjoys just a brief space through a couple of channels dedicated to playing music videos and a seasonal window on national holidays when festivity demands a very narrow bandwidth of ideas that encourage celebration, optimism and hero worship. Anything outside this slender spectrum will not make the cut for airtime. Even when song, drama and film represent a general nationalistic sentiment, they do so in an innocuous way. With the exception of recent films that, like Waar, are driven to achieve specific ends (and inculcate a reactionary nationalism championed by the establishment), most nationalistic sentiments in popular culture seek to elicit a selfless affinity with the nation and generate positive energy. They do not contain many of the ingredients that can serve to feed an incipient form of fascism. Most of the nationalistic cultural products can also be bland. This is because they offer very little variations in content — differences being borne primarily by aesthetics. The lyrical formula of Dil Dil Pakistan, for instance, has been repeated ad nauseum — just as the song itself borrowed from what had come before. Only the visuals, melodies, vocal styles and instrumentations have been different in each case. Dr Taimur Rahman, who heads a progressive band, Laal, and also teaches at the Lahore University of Management Sciences (LUMS), feels that all the nationalistic songs, with some notable exceptions, have very little to say, that their search for platitudes has eviscerated depth. In times like the present when Pakistan faces a dire need to reconstruct its formulation of nationalism to make it more inclusive, he says, nationalist music has been left to regurgitating new permutations of a tired formula. 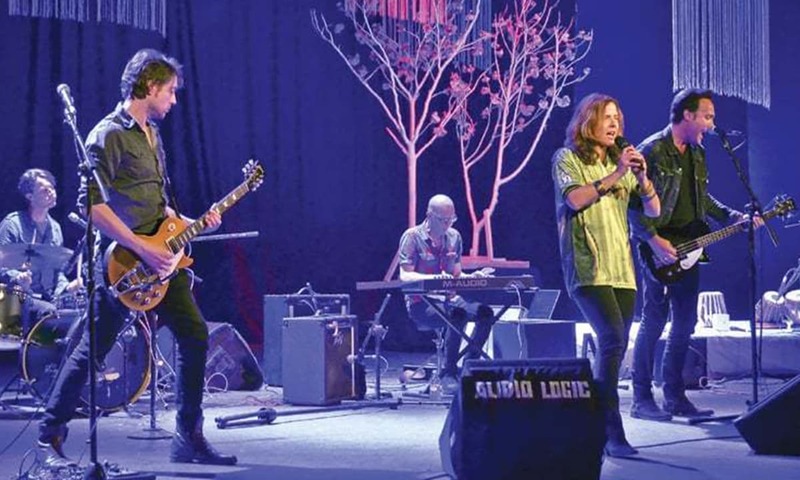 Ali Aftab Saeed, who rose to prominence with his biting satirical song Aalu Anday, explains the structural reasons for the persistence of this formula. According to him, it is commercial interests that have ensured its longevity. Once a commercial brand wanted to buy one of Saeed’s songs with the intent to have someone else sing it, but the deal fell apart when the brand insisted he would not even receive a writer’s credit. His original sin, so to speak, is left-of-centre political positions in his songs. Commercial brands fear being tainted by association with him given his history as a bold satirist. A look at the market for live music may help explain this further. Music performances derive their sustenance from ticketed events: they have to cater to what the audiences want. 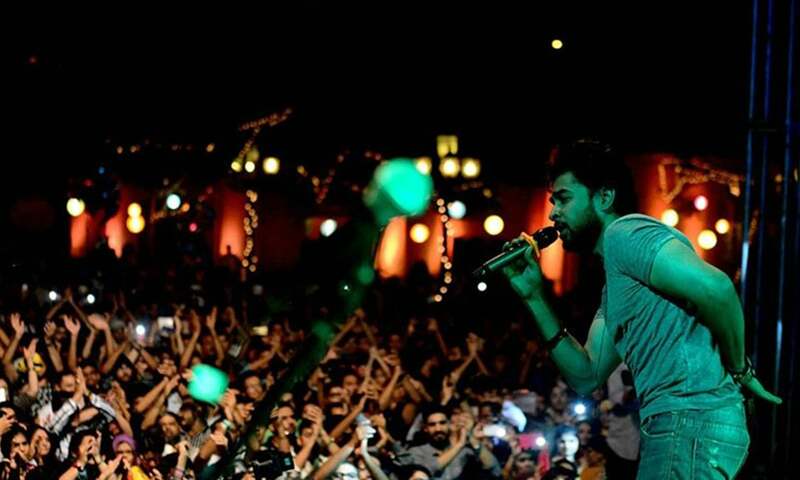 In Pakistan’s case, while performances are experiencing a revival after a drought of several years, their audiences have changed in fundamental ways. Today’s audiences are happy to partake in anything that questions corruption among elites and berates politicians for bad governance, but do not have the tolerance to stomach anything that asks uneasy questions about nationalism, human rights and religion. Ticketed events also face two more basic challenges: getting permissions from police and the excise department. During the previous government, tax on such events was prohibitive, disincentivising performances unless they were aimed at a high-income clientele. And the police often deny permissions because they simply do not want to take the responsibility for providing security even when they do not have any real objection to the content. There are two main avenues available to performers where these hurdles can be bypassed: educational institutions and corporate events. Both have an identification system for entry (which takes care of security) and both do not charge any money from the audiences (which means that no tax has to be paid). The two, however, are united in their unwillingness to host edgy content. There is a paradox at work here: without corporate events or educational institutions, the music scene would effectively collapse; and because of being the sole source of support for the music scene, these two venues have a homogenising effect on what is acceptable to them and what is not. This has led many new bands to keep their contents limited to a few select subjects. 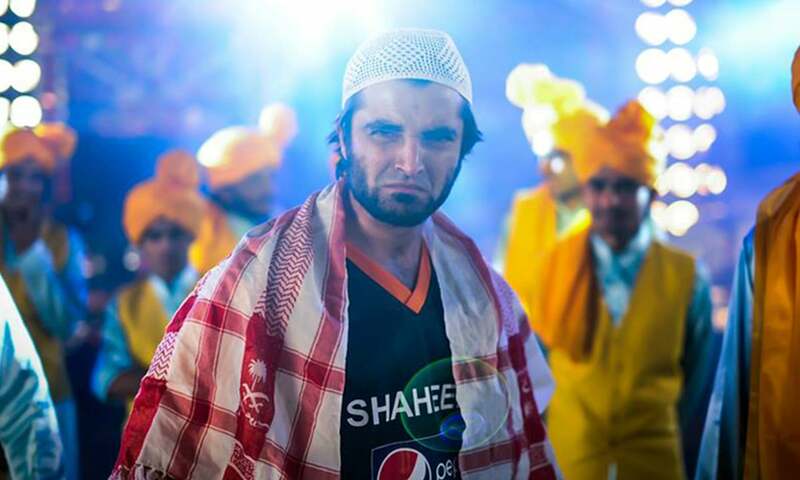 According to Saeed, who has been approached by many of these bands for advice, they mostly focus on composing either nationalistic songs, religious Sufi material or cricket anthems (which in themselves are a modern expression of Pakistani national ambition). The rut of a sweet and soppy expression of nationalism in music – symbolised by Dil Dil Pakistan – was broken by Bara Dushman Bana Phirta Hai, a song released by ISPR in the aftermath of the APS attack. Mahmood calls it “the song of the decade”. Few songs, according to him, have possibly captured the zeitgeist of a nation as this one did. It articulated the heartbreak of the country with a nuanced, underplayed, yet tellingly-powerful rejoinder to the terrorists. The song’s tone was mocking but it avoided undermining the pathos of the APS tragedy. It remains a highly significant symbol of how nationalism can be leveraged effectively in times of great change and great outrage. Pakistan’s success in kinetic operations against its domestic insurgents has been nothing short of miraculous. But the policies that created those insurgents and the space given to religious extremists still need to be challenged. As the need for an armed response to some terrorist groups continues to rise, Pakistan’s formulation of nationalism, ironically, needs to soften to address its unintended effects. One of these unintended consequences has been Da Sanga Azaadi Da, a song that has become a symbol for the ravages of an ongoing war against terrorism in the tribal regions on the Pakistan-Afghanistan border. It questions the rationale for the endless cycle of violence and has been one of the most organic articulations of a demand for inclusivity made through a plea for a human rights revolution. It also highlights the inherent problems of a militaristic nationalism that often does not coincide with popular sentiments on the fringes of the state. And while Bara Dushman Bana Phirta Hai did bring a new verve in nationalistic music, nationalism in music generally treads a hackneyed, lyrically well-worn path. It is telling to see what it omits and what it chooses to represent. Naqvi speaks about how nationalist musicians have sometimes been out of touch with the realities on the ground. He cites a famous military song that was played on PTV during his childhood: “Sindhi Hum, Balochi Hum, Punjabi Hum, Pathan Hum”. It was great on intent, acknowledging all the constituent parts of Pakistan, except there are no “Balochi” people. They are actually Baloch. 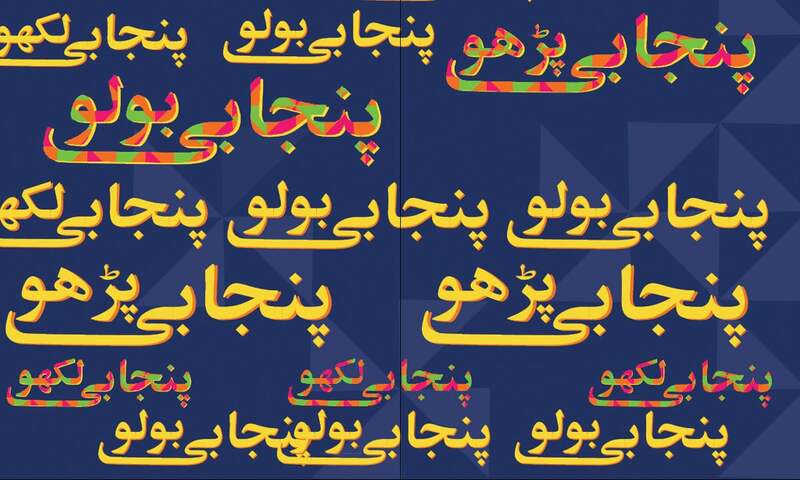 Balochi is the name of their language. Rahman offers a similar point of view. Patriotic songs will sing “paeans to geography” and offer odes to unity but gloss over the different provincial identities of Pakistan, he argues. The heroes praised do not often nclude people from ethnic and religious minorities, he says, and adds that the core challenge for Pakistan is to accept all the differences for the sake of coexistence rather than foisting unitarian directives on everyone. Rahman explains that a one-size-fits-all nationalism does not go well with individual angst and alienation that are defining traits of the current generation of the youth – the millennials – worldwide. If nationalism wants to use culture and art as a vehicle to achieve an end, its narrative drive may require to be atomised from the national to the individual, he says. This may explain why a trend of political songs emerged in 2013 (in the backdrop of increased political contestation and polarisation in the country) and matured in 2018. In some ways, this trend is already in the process of supplanting patriotic songs, Rahman says. Naqvi also mentions it, though in a different sense. “Pop culture has always been the domain of the upper middle classes who drive consumption as tastemakers,” he says. Since this demographic cohort by and large supports the Pakistan Tehreek-e-Insaf (PTI), musicians have self-appropriated many of their unreleased songs to back the party, he adds. 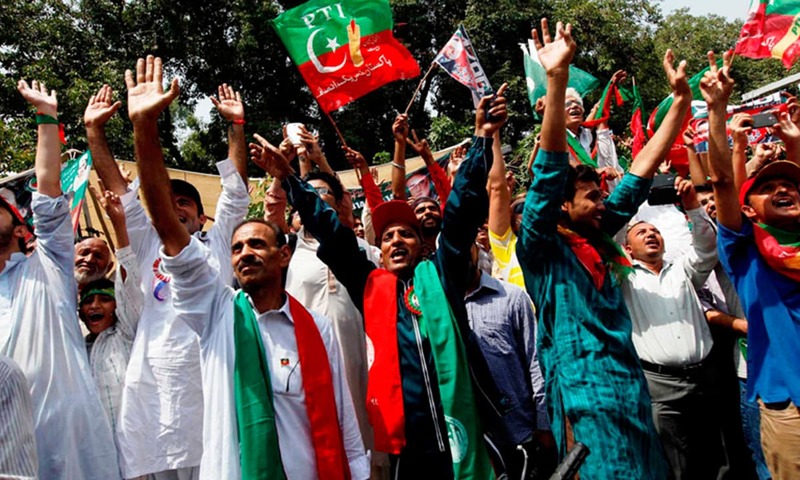 And because the constituencies for PTI and Pakistani nationalism coincide very obviously, the party’s pre-eminence in political songs may also be seen as a nationalistic hegemony of music by other means. Perhaps the most telling development in recent years has been the emergence of Sufi songs as a manifestation of an informal nationalism. Rahman explains this is because the challenge facing Pakistan has essentially inverted itself. In the 1980s, a society largely free of extremism and sectarianism was resisting authoritarianism of the state, but today people are looking towards the state as a saviour against threats from fellow citizens who have subscribed to a violent pan-Islamism. This inversion has created grounds for a state-supported nationalism to be welcoming of various religious traditions, including Sufism. Also, because the narratives espoused by TTP and other terrorist groups have supplanted those championed by Pakistan’s traditional religious right-wing parties, the latter offer no alternative to anyone looking for a different religious narrative. The state is now center-stage in providing the alternative. But, as Mahmood says, expecting the state’s cultural patronage to create a new and meaningful expression that challenges the status quo of the state itself is an unrealistic expectation — not just in Pakistan but in any new state around the world. Mahmood also underscores the fact that the question of ideology has become relevant once again post 2001 as Pakistan requires a new ideological sensibility to address religious extremism. Sufi music, with a particular fusion of an urban aesthetic, suggests that it could offer a narrative foil to the extremist discourse. 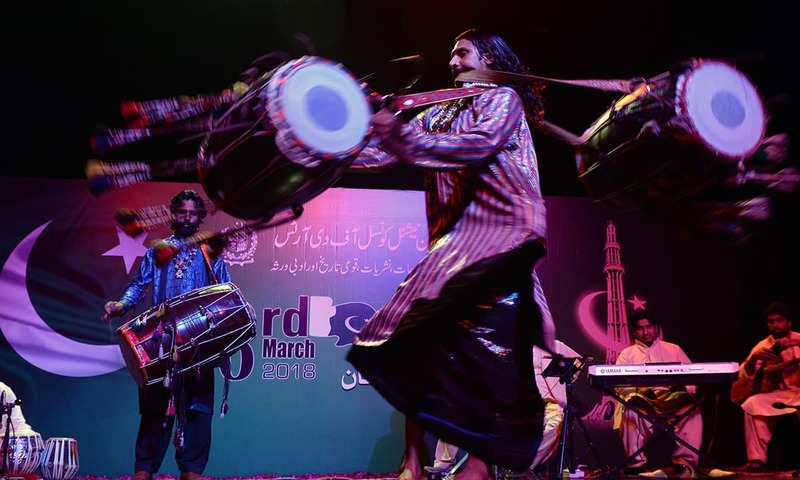 Devotional Sufi music, after all, does provide, at least in theory, a counter to the global perceptions of Islam – including outright Islamophobia – because its content is largely about peace, love and inclusivity. Mahmood’s experience with various musicians, however, leads him to believe that many of them do not see Sufism as a pedestrian counter-narrative device to extremism. They actually see it as a return to an authentic origin for our national identity that enables a better representation of the provincial symbolisms in the framing of a Pakistani nation. How effective is the appropriation of Sufi music to serve nationalism, given that the state’s policies that gave space to extremists remain in place? Sufism as the new nationalism does present unique opportunities since it does not threaten the hold of traditional nationalism espoused by the state. It does not demand any change in the structure as well as the actions of the state. Since its emphasis is on the personal, it poses no threat to the current power structures. As such, the establishment would welcome such an addition to the ideology of the state because it puts all social and moral responsibility on the individual rather than on any collective institution. The advent of Coke Studio and its artistic vision, according to Mahmood, have coincided with the need to find a cultural solution to the problem of extremism. 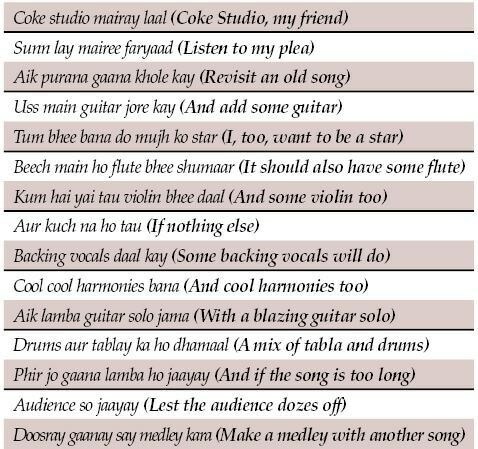 And Coke Studio has generously – perhaps inadvertently – deployed Sufi songs of the past to do just that. The author is an op-ed writer on politics, a satirist and a cultural commentator. Bengali nationalism was victorious in 1971. See the same happenng to Indian union. @M. Emad Kashmiri nationalism is victorious also.